I stayed at aparthotel Citadines on Bourke. Its central location was perfect: only a 15 minute walk from Flinders Street Station and on the edge of Chinatown (for those late night Korean fried chicken cravings). A serviced apartment was ideal for my 10 day-long stay: the most appreciated convenience being the complimentary laundry facilities. 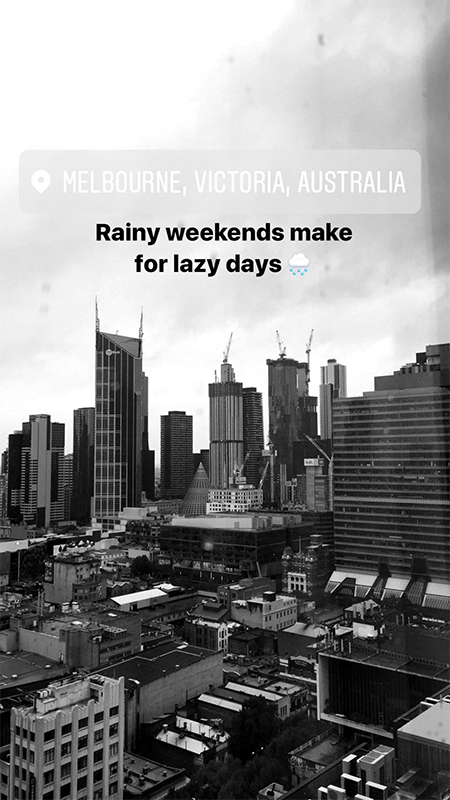 But it was the view from my ceiling to floor windows that truly set the tone for the days ahead - a vista of Melbourne CBD, as far as where the Yarra river pours into the harbour, from the 25th floor. Even on days when the weather was less than becoming, seeing the rain clouds rush across the sky before opening up on the city lent a cozy romance to hours spent indoors. What a way to make an entrance (exit, too): landing/lifting off a helipad on the Yarra river, in full view from the tourist-lined Southbank, in an eye-catching pink and purple chopper all while making a din that roars: “BRB, off to defy the bonds of gravity!” Should a James Bond-esque thrill be what you seek, there’s no better way to survey the city than from Melbourne Helipad in Batman *snigger* Park. Rides start at A$180 per person, and you’ll need two passengers in the copter. Flying solo? Try popping in or calling on a busy day ie. Saturday to see if Melbourne Helipad can pair you with another soon to be-not-lone wolf. For a more tranquil tone and a different brand of drama - think David Attenborough soaring serenely through the sky, binoculars in hand, as he comments on the follies down below: “Building a nest in Melbourne can be difficult for a fledging millenial. 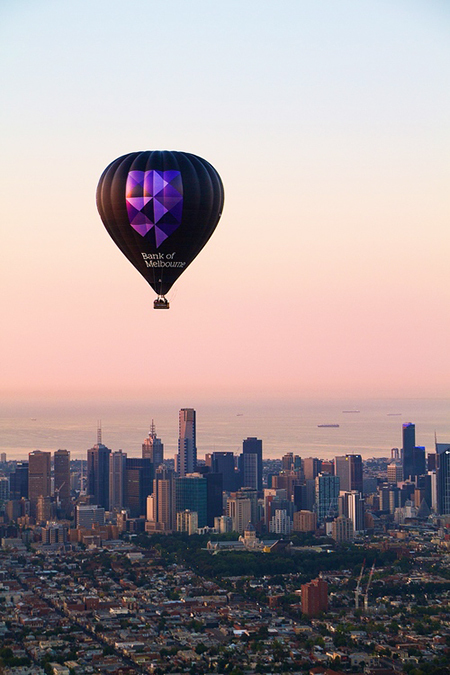 And so this youngster fills the void with food: by feeding on $22 smashed avocado toast.” - there’s Picture This Ballooning, one of Melbourne's more popular hot air balloon service. Rise at dawn, board your basket, glide over the city, then come back down to Earth and ease the transition from ‘majestic creature of the skies’ to ‘flatfooted landlubber’ with a glass of bubbly. Those who want to have their head in the clouds but would rather have their feet on the ground should head to Eureka Skydeck. 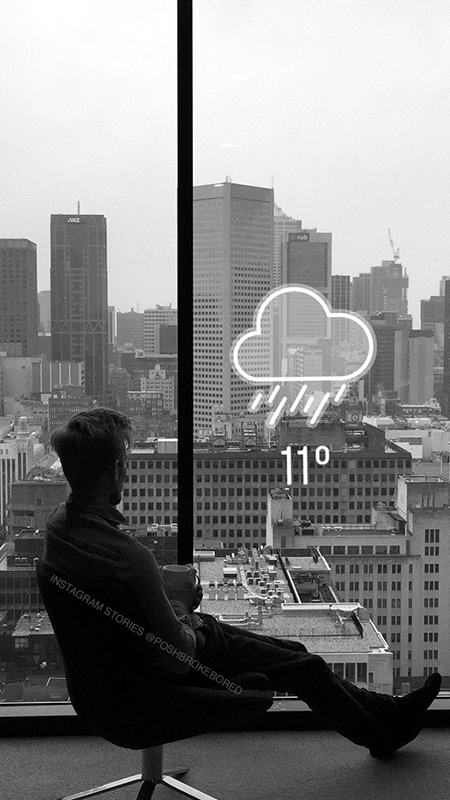 The 88th floor observation deck is be the highest vantage point in Melbourne, offering unparalleled panoramic views of the city from both the indoor observation deck and the outdoor (caged) terrace. It’s all very family-friendly and wholesome. So naturally I had to terrify myself by living on the edge or rather climbing into The Edge: a glass cube which slowly and dramatically extends from the building and suspends over the city...all while rumbling and playing terrifying sound effects like wind howling, metal beams swaying, and glass creaking. I somewhat managed my fear of plunging to my death (should the glass under my feet yield to that extra pancake I had at brunch) by standing on the metal parts of the cube’s frame, just long enough to say I’ve been there, done that, got the souvenir photo. Of course, there is a way to rise above it all that doesn’t evolve being dangled from a wicker basket held up by fire-heated air or being packed in to a shuddering glass cube. It even involves cocktails and donuts! On the 55th floor of the Rialto building, Lui Bar may be more than 30 storeys shorter than Eureka Skydeck but the view of Melbourne hardly suffers for it. In fact, Lui Bar more than makes up for that “shortcoming” (see what I did there?) with its sleek looks, welcoming staff, and killer cocktails. I underestimated the Nutella donuts - confronted with a very generous portion of 6 (or was it 9?) - I only just about managed to wash down half the plate with a whiskey cocktail and a Diet Coke. Find Lui Bar by asking the concierge to take you to the one elevator that exclusively serves the otherwise inaccessible 57th floor. So mysterious! Do you seek to rise to new heights wherever you go? 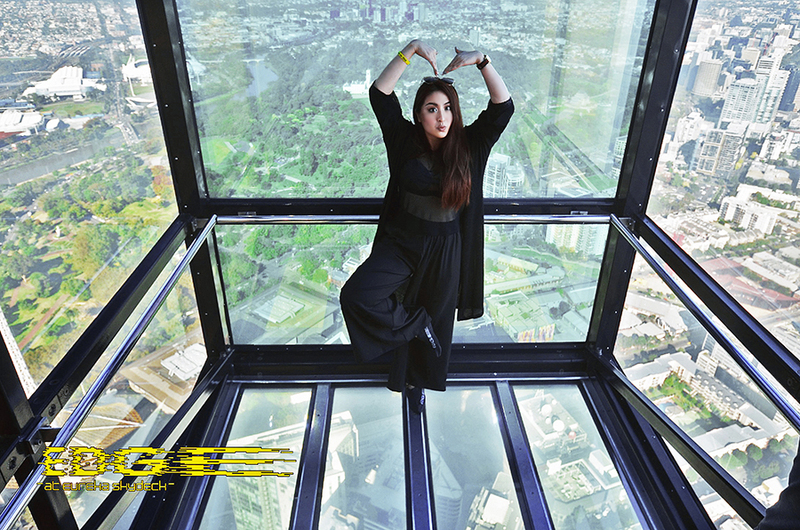 If, like I do, you suffer from vertigo, motion sickness, or a fear of heights; do you manage it by being somewhere solid (like Lui Bar and Eureka Skydeck) or would you just disregard human limitation and hop into a helicopter?